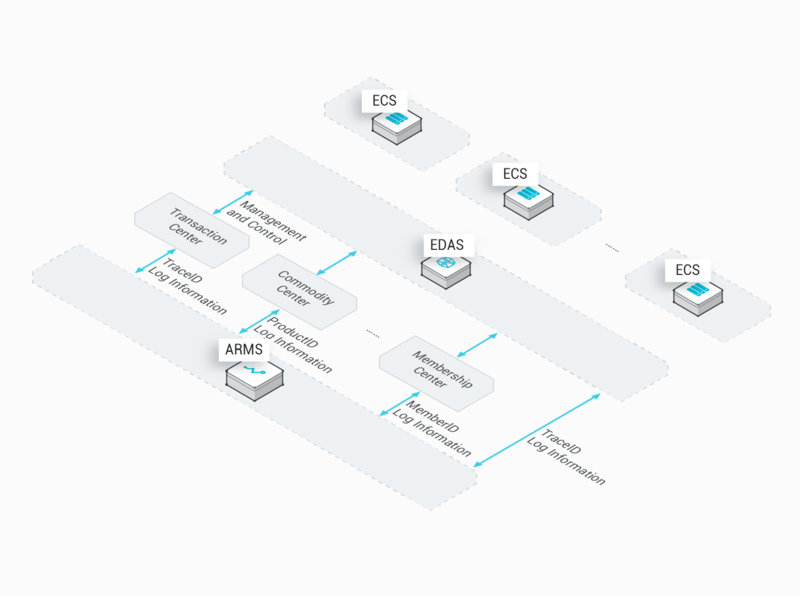 Application Real-Time Monitoring Service (ARMS) is an end-to-end Alibaba Cloud monitoring service for Application Performance Management (APM). You can quickly develop real-time business monitoring capabilities using the frontend monitoring, application monitoring, and custom monitoring features provided by ARMS. Real-time monitoring of distributed applications. Automatically generates a topology of distributed applications based on the call references through dynamic analysis and intelligent computing of tracing information. Performs drill-down analysis of the metrics, such as the application response time, number of requests, and error rate. You can view the analysis results by application, event, or database. Analyzes timeouts and exceptions based on traces and automatically identifies them in the relevant call operations, such as SQL statements or MQ API operations. Intelligently collects trace-based unusual transactions and identifies the sources of exceptions or errors by troubleshooting detailed data. Detects the real-time response time and error rate of the websites that users access. Analyzes user access rates and errors by geological region, ISP, or browser. Monitors and diagnoses the performance and success rate of asynchronous API operation calls. 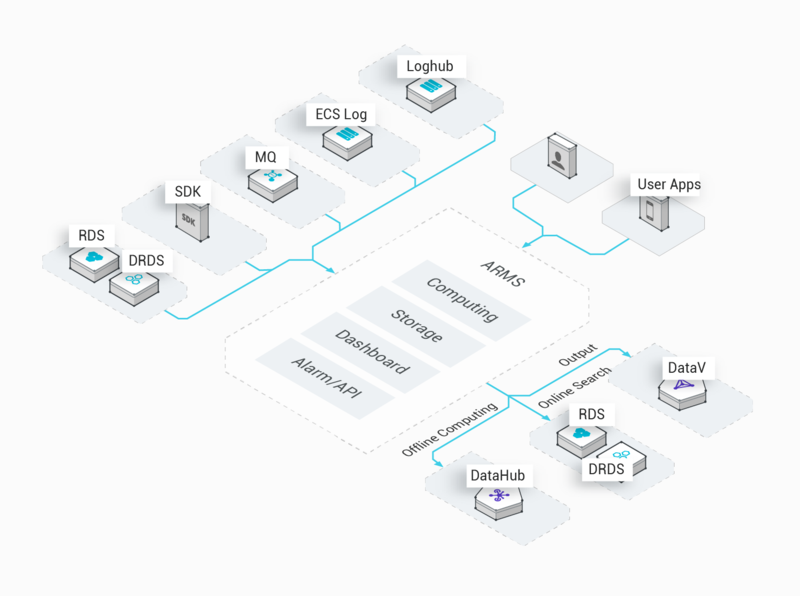 Supports multiple types of real-time data sources, such as logs, SDKs, Message Queue, and Loghub. Allows you to orchestrate real-time computing and storage modes based on the specified dimensions and calculations. Quickly integrates the monitored datasets with the ARMS alarm and dashboard platform to provide monitoring capabilities in multiple scenarios. Centralized alarm and dashboard capabilities. Allows you to configure alarm policies based on the comparison results and metrics of various datasets. Presents monitored data in real time by using various visualizations, which can be applied to multiple scenarios such as online analysis and full-screen display. Provides quick access to multiple data sources to help users quickly build multiple types of business monitoring capabilities and integrate with downstream applications. Supports diversified data sources for monitoring. Supports aggregate computing and storage to monitor distributed data. Provides a centralized platform that integrates dashboards, alarms, and APIs. Build a complete business troubleshooting system based on the trace information in a distributed environment. 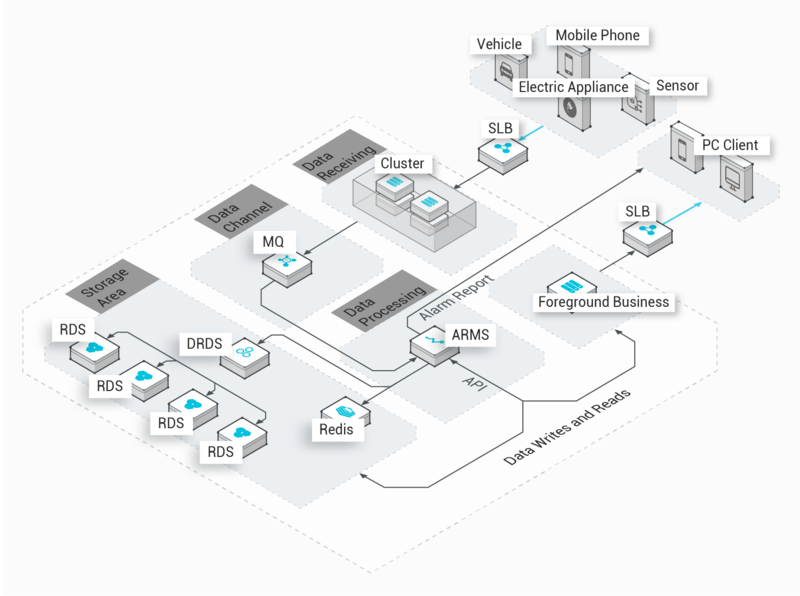 Quickly build a business monitoring system in a distributed environment. Allows you to query traces by BizIDs and trace IDs in a distributed environment, and query the relationships between BizIDs. For example, you can query the orders and logistics about a specific transaction, or you can query unusual transactions and the related commodities. ARMS can quickly collect, calculate, demonstrate, and generate alerts for large amounts of IoT data. This can improve the compute and monitoring capabilities of IoT networks. PV and UV statistics on mobile apps, user region distribution statistics, and new and returning user statistics. IoV statistics including the vehicle online ratio and faults. Production equipment statistics, including the production status, overall power, and information about unusual equipment.